The easiest outfit to put together is one that consists of a dress! Seriously, the days where I honestly don’t feel like creating an outfit, I quickly reach for a dress. If you simply add some accessories and a pair of cute shoes, you can be set in no time. You may remember that I recently visited New York City. Of course, I had to show some love to a few great thrift spots in the City. I found this simple but absolutely flattering pink dress at Unique in the Bronx. There are several locations in the City by the way. I paid $8.99 for the dress and would probably have paid more. The dress fits me like a glove, as though it was custom made for me. Perfect length, perfect fit — and pockets! Always winning when a dress has pockets. A thrift tip here for my readers. 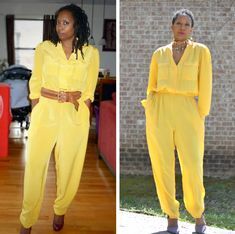 Try on everything that you purchase from a thrift store. Case in point. The label was removed from this dress. I don’t know who made this dress (it’s not homemade) and had no clue what size the dress was. But, always following my golden rule to try on everything, I was very happy to see just how beautiful it looked on me. Glad I didn’t pass it up because of some missing tags. As the dress is pretty simple, I wanted to jazz it up with my heels and accessories. I choose my white, animal print heels that I got on sale at Victoria Secrets for $29.99. They previously were used in styling some dressy jogging pants here. These pumps are still proving to be one my best retail purchases as they are so versatile and a statement piece whenever I wear them. I also bought this cute Express floral clutch from Unique at the time I bought the dress. The clutch was only $3.99. I have a serious addiction to clutches as I think they simply add a glam to every outfit for me. Finishing the look are the yellow and gold drop earrings. I went with these earrings from Charming Charlie (only $5 on clearance) because of my very short hair cut. With this hair cut, I tend to want to wear larger earrings for some effect! These earrings are bring that effect for me here. Would you agree? Looking beautiful in this colour, it is one of my favourtes. Such super shoes also. What a cute dress, love the buttons in the front. SO cute! 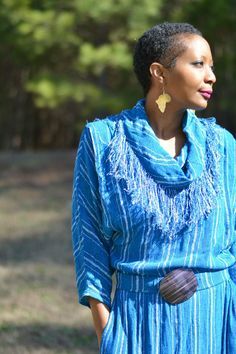 I love the button detailing–it had just the right amount of pop on the front of the dress. And pockets?!? It doesn’t get any better than that! Love those shoes and what a great deal too! What a cute dress, I love pink. That color looks gorgeous on you! And a dress with pockets?! You can’t go wrong! You always look so gorgeous. 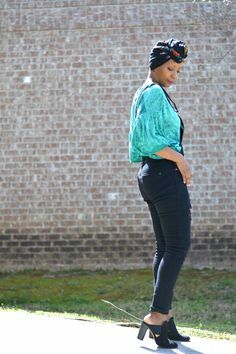 I love the shoes — they make a simple piece look so stylish. What a pretty dress! I love shopping at Unique. You can always find some good stuff! This dress is such a stunning color, and I love the bust detail! I said it last time but I’ll say it again… I love those shoes!!! and 3.99 for that clutch?? amazing! Hahah, thank you! You should definitely look to see if the shoes are still available at VS? You always looks so vibrant! Love the dress an I can’t believe that clutch was so inexpensive??? Thank you! I couldn’t believe the price on the clutch either. Total score there. Awww, thank you! I have to say that when I slipped it on, it made me feel like it was made for me. You are killer at finding gorgeous items!!! Thanks. Patience, patience, patience is the key to finding what you want. Thank you lady!!!! The heels are my favs right now girl. Make me feel ultra chic whenever I wear them. no matter what color you wear, you always look amazing!! Whoa! Teach me your ways! haha I thrift like once a month, but usually for my kids or housegoods, stuff to repurpose. I just haven’t had any real luck since leaving Seattle and moving to Florida. And tips? I absolutely love the color of that dress. It looks fantastic on you, and those shoes are the perfect complement to it! Love pink + animal print! Your styling is so on point.